Do you like Home Sheep Home 3? Share it with your friends. Timmy, Shirley, Shaun, these are names of four heroes of the nice game "Home Sheep Home 3". 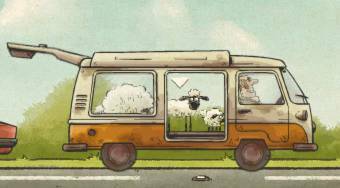 The three sheep decided to set out for an adventurous trip to London. But the journey to the British metropolis is very long and full of obstacles, so the sheep will have to cope with many difficult tasks.